German former CDU politician and Vice-President of the Organization for Security and Co-operation in Europe Willy Wimmer told Sputnik Deutschland that he fears NATO involvement in the downing of Russia's Su-24 bomber over Syria last November. 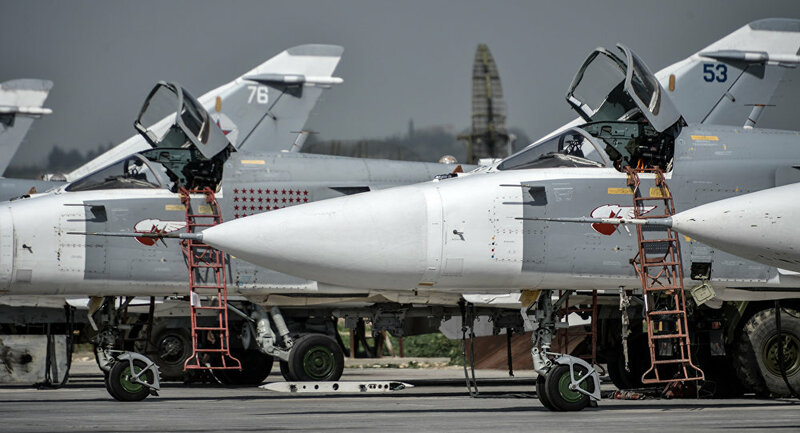 NATO was involved in last year's downing of Russia's Su-24 bomber in Syrian airspace, Willy Wimmer, former Vice-President of the Organization for Security and Co-operation in Europe (OSCE), told Sputnik Deutschland on Friday. On November 24 2015 Turkish jets downed a Russian Su-24 bomber carrying out anti-terror operations in Syria. The plane's two co-pilots parachuted from the plane but one of them, Lieutenant Colonel Oleg Peshkov, was shot and killed by suspected Turkmen militants operating in Syria. The incident caused a major diplomatic dispute between Turkey and Russia; the former said the bomber was shot for infringing Turkish airspace, but Russia maintains the Su-24 did not enter Turkish airspace, and was carrying out an anti-Daesh mission in Syria when it was downed. The downing had been interpreted as a unilateral decision by Turkey, but Willy Wimmer contends that in fact, NATO and Saudi forces were involved in the incident. "According to my information, Airborne Early Warning and Control System (AWACS) aircraft from the US and Saudi Arabia were involved," Wimmer said. "Aircraft like that Russian Su-24 bomber are not that easy to just shoot out of the sky. You need to take aim, and you can only do that with AWACS aircraft." The two AWACS planes involved in the incident took off from a NATO base on Cyprus, and an airbase in Saudi Arabia respectively, Wimmer said. He explained that according to NATO guidelines, if a plane is believed to be violating another country's airspace then contact should made with the appropriate flight control center to draw the pilot's attention to the error. In peacetime, the most a military aircraft is allowed to do is to force a stray aircraft to make an emergency landing. "What happened there does not comply with international regulations in any way. They brought the Russian plane down because they wanted to," Wimmer said. Wimmer believes that the motivation for enabling the otherwise inexplicable attack, was a desire on the part of Turkey's allies to spoil diplomatic relations between Turkey and Russia. "It must be assumed that if somebody breaks international rules, then political interests are at stake. This was about destroying the relations between the Turkish Republic and the Russian Federation, which were blossoming (back) then," the politician said. "Last year the construction of the South Stream pipeline (from Russia) through the EU was stopped because of American pressure. A few weeks later, Russia and Turkey successfully created a replacement, the Turkish Stream. Of course, that was diametrically opposed to the Americans' sanctions politics against Russia. The reaction of the Americans can be interpreted accordingly," Wimmer believes. Last month Turkish President Recep Tayyip Erdogan wrote a letter of apology to Russian President Vladimir Putin about the downing of the Su-24. The Turkish President said that Turkey "never had a desire or a deliberate intention to down an aircraft belonging to Russia," and expressed his deep sympathy and condolences to the relatives of the deceased Russian pilot.